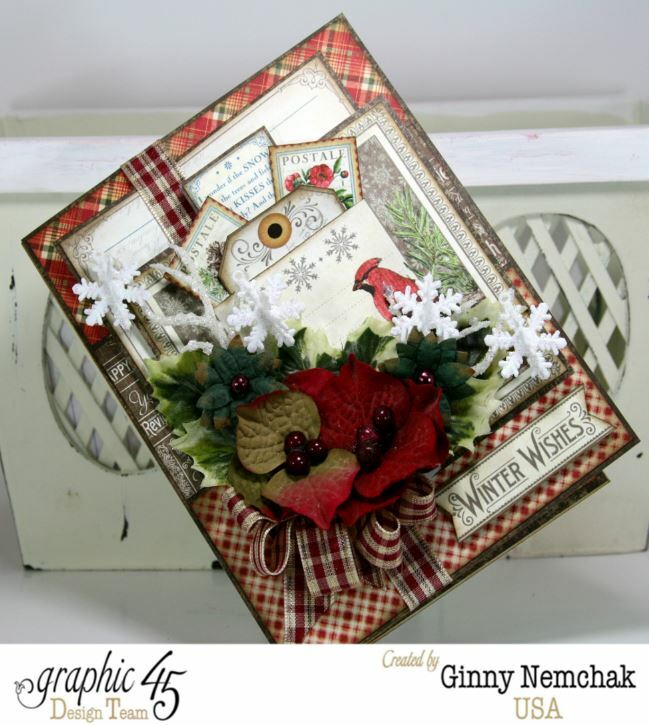 I’ve created this card with the most beautiful Time to Flourish patterned papers from Graphic 45. I created a little pocket and tucked in a tag and stamps clipped from the patterned paper. Little sparkly snowflakes on a glittery branch to create a winter wonderland scene. I couldn’t resist finishing the inside of the card with more paper layers leaving a space to add the perfect sentiment. Adding seasonal flowers and Ivory/Rust/Gold Ribbon from Really Reasonable Ribbon creates lovely dimension. Holy Dyna Paper Peeps how can time be going so fast????? Less than 10 days now til Christmas, is that even possible???? 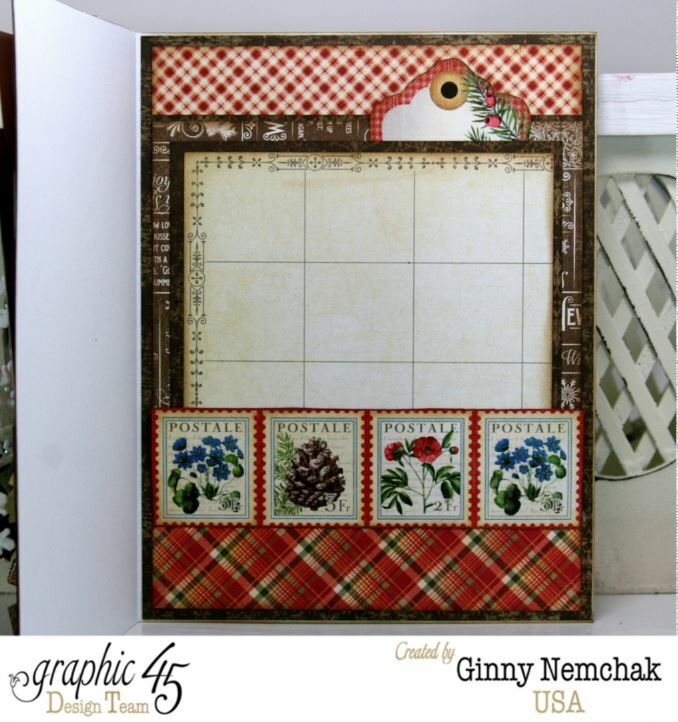 I’m sharing a project today with Graphic 45 Time to Flourish and Mother Goose. 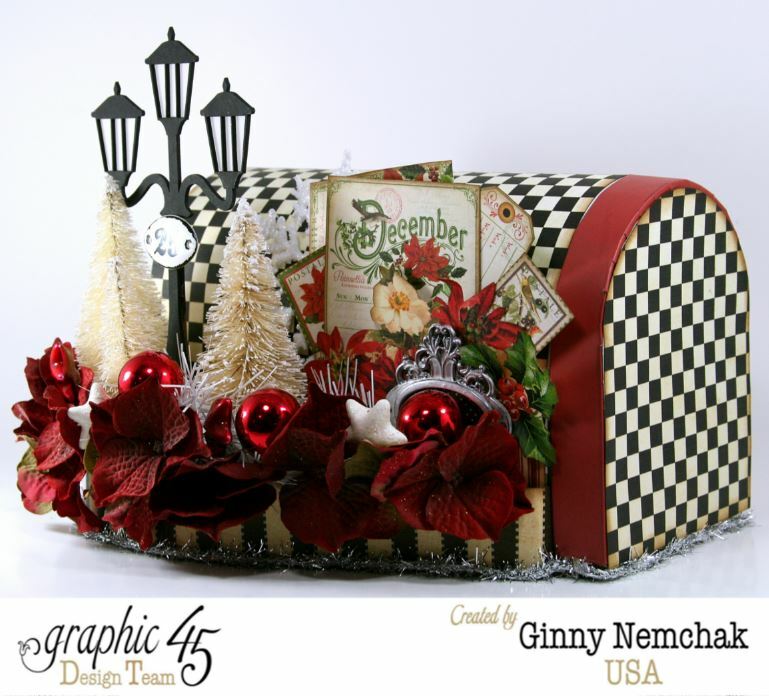 I created a Christmas village with a paper mache mailbox using the super gorgeous Time to Flourish papers from Graphic 45 and mixed graphic pops of color and fun embellies. Maybe Santa will leave me some treats inside the mailbox Christmas morning. I decided I wanted to build out from the original size of the mailbox so I created a larger base and filled it with bottle brush trees, flowers and ornaments. The trees and streetlight creates a sweet little village look and I dressed them up with some Tim Holtz embellies. Wishing you all a happy and productive day with lots of time to be creative : ) G Ohhhh and a few extra hours in the day if that were even possible! Hey there Paper Peeps! 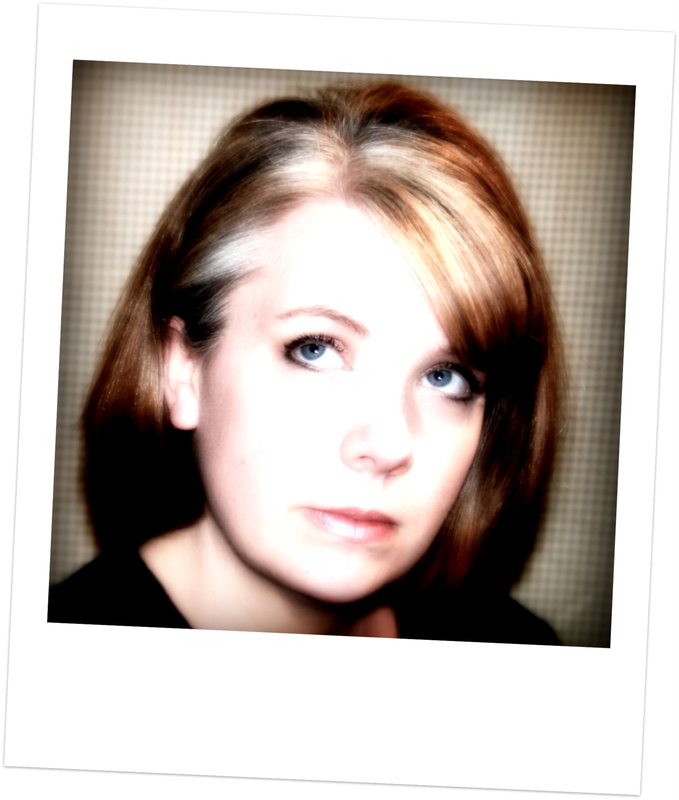 Well….I’m still on my black and white Christmas theme. 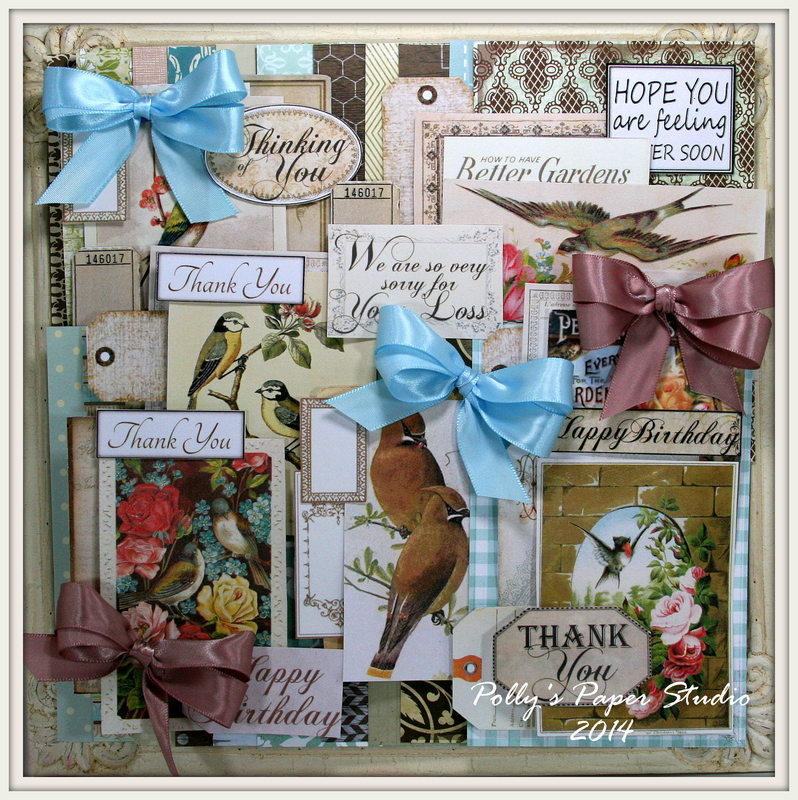 I created a card with Really Reasonable Ribbon Trims and Canvas Corp papers and I think this will be a great addition to my new collection. 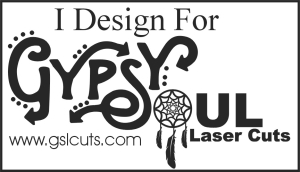 For those who haven’t heard yet….I’ve joined the Design Crew at Canvas Corp and I think it is a perfect pairing with Really Reasonable Ribbons! I layered the Black Plaid Ribbon over the Burlap for texture. It matches the patterned paper so perfectly! 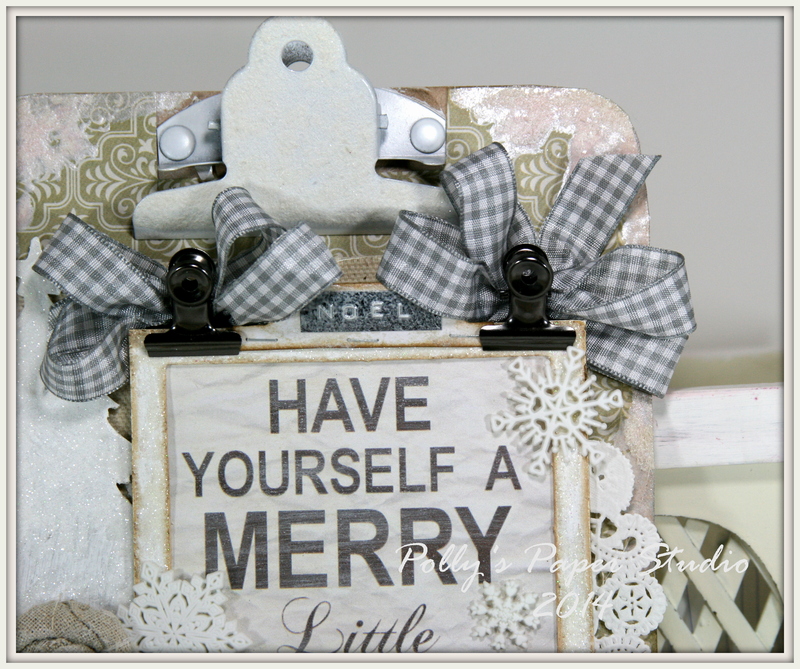 The poofy little bow has been topped off with a painted jingle bell : ) I really love the tabbed edge here….it’s from the Christmas file folder. With all the dark patterns I thought this would brighten it up. 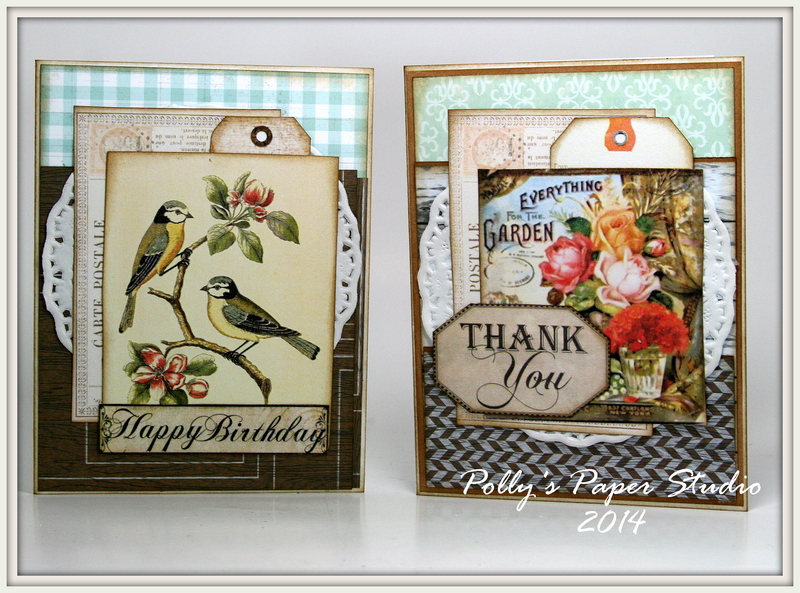 I clipped a tag in half and added it to the back of the vintagy image with Tim Holtz Tiny Staples. There’s sweet little clothespins in white to coordinate with the sparkly snowflake. Hey there Paper Peeps. 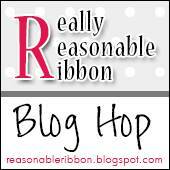 It’s time again for another awesome Blog Hop with RRR. 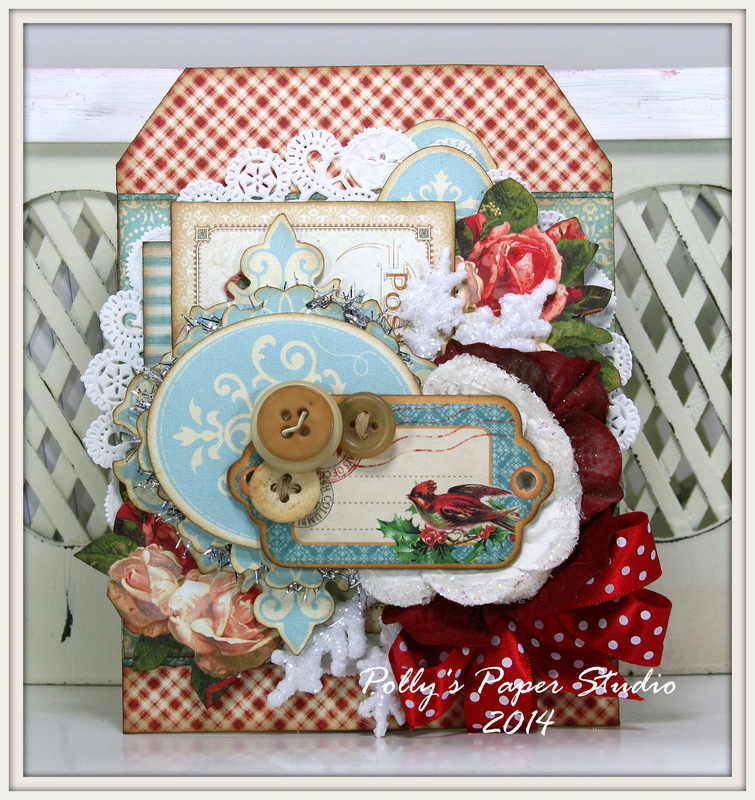 This month we are working with my favoritest shabby colors in the Winter Wonderland December Ribbon Club Assortment and I just love it!!!! If you’re just getting started…..you want to click HERE to go to the RRR blog and not miss out on any of the awesomeness. I’m all about these little clipboards lately…bigger than a card but smaller than a book and sturdy enough to embellish to your hearts content. And for me…this is a lot!!!! 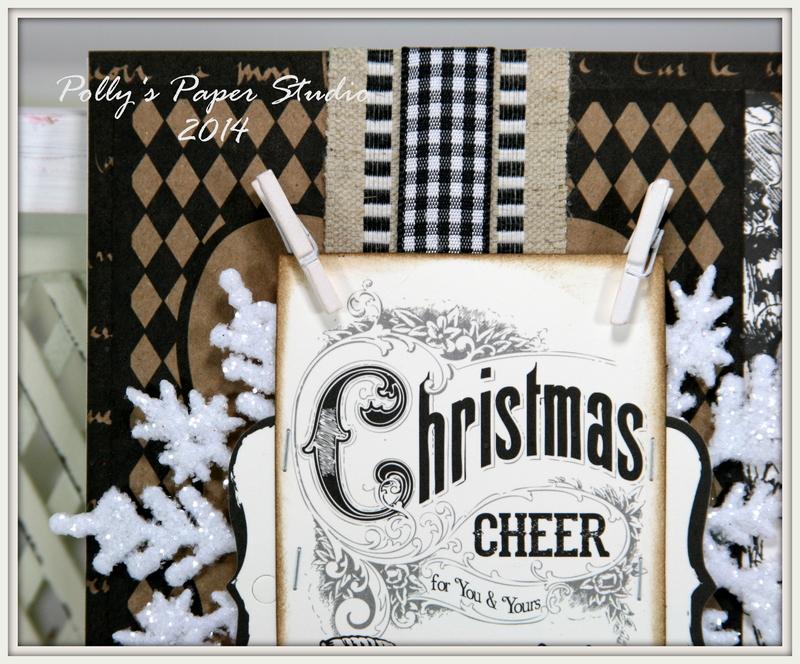 I created a little holiday sentiment digi then set about adding as much paper pretties as I possible could. This band of RRR trims starts with Gray Wired Faux Burlap Ribbon over a canvas scallop. Next I layered on the Priscilla White Crochet Lace and Silver Metallic Grosgrain with a coordinating silver buckle. 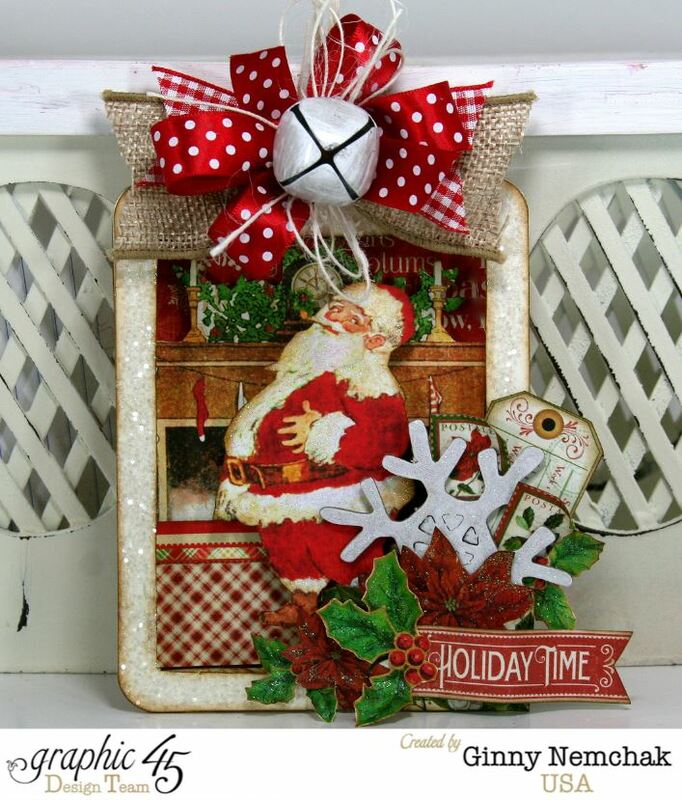 Painted jingle bells are a fun and festive embellishment and more is better! I don’t mean to shock anyone….but I actually sewed this poofy flower all by my onsies! With a real needle and thread and everything…..Once I had it in place I added a little cover with Tattered Angles High Impact White Paint. 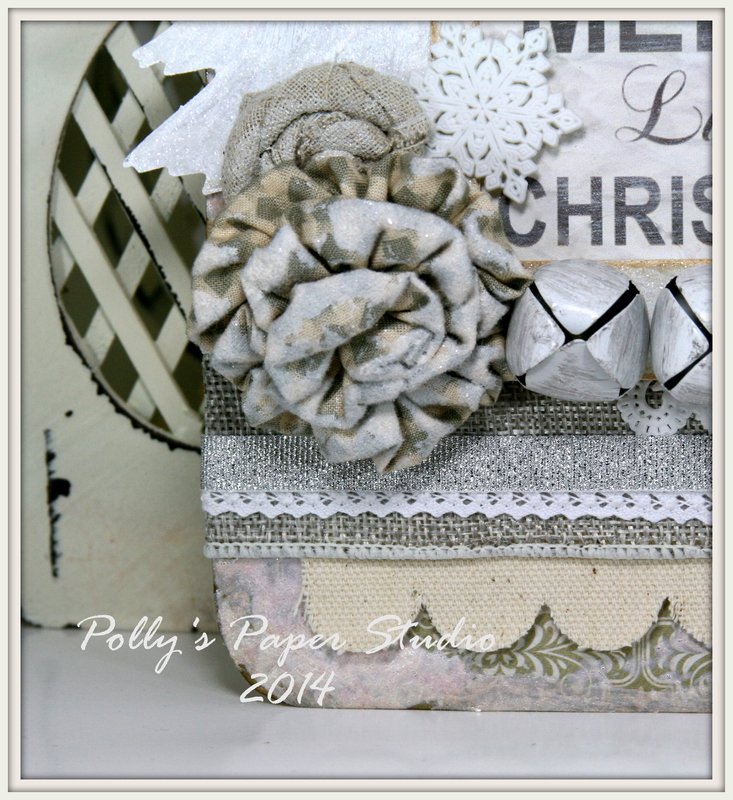 I think it looks lovely with the small rolled burlap flower and snowflake. I used some of the paint on the clipboard as well..then sprinkled in some flocking powder for a nice wintery texture. 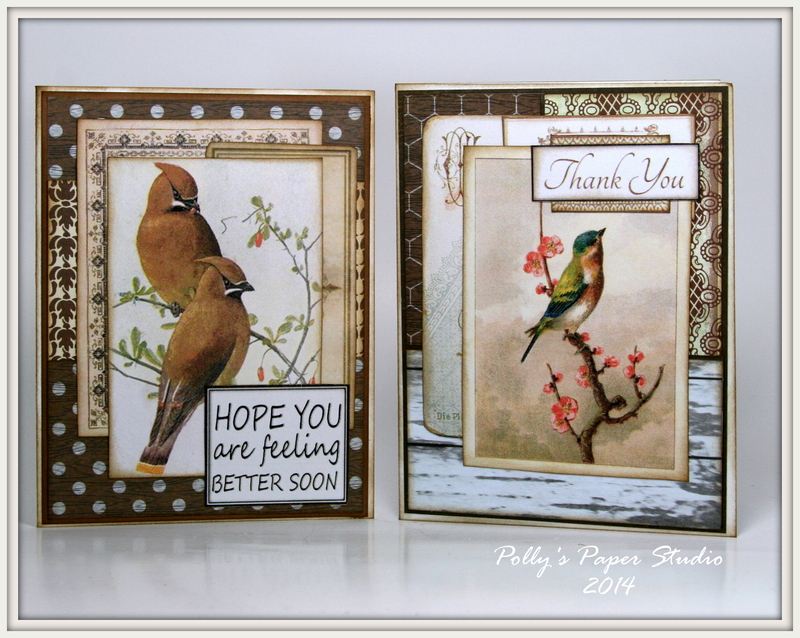 I painted the chipboard frame I used on the holiday sentiment…then inked and glittered it. 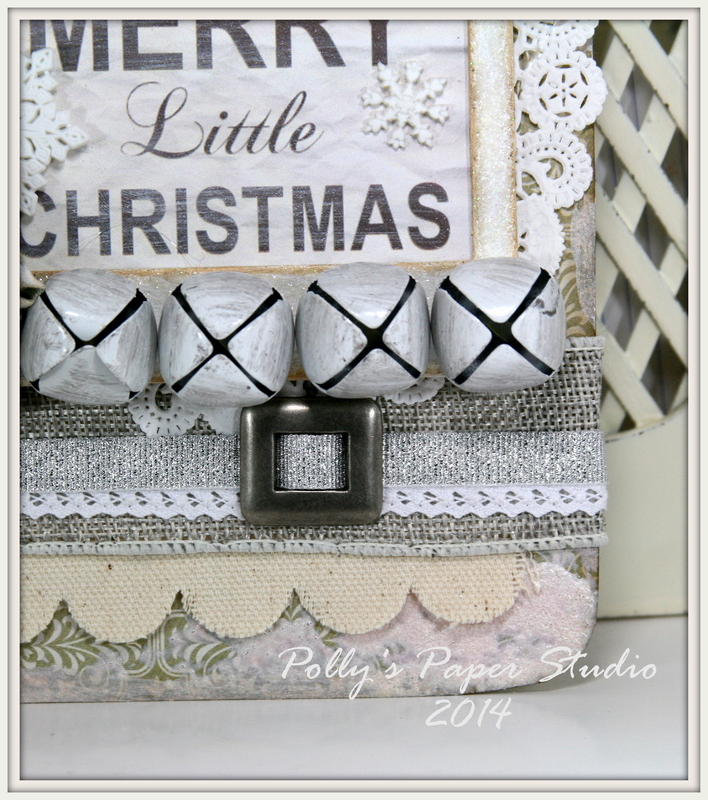 There’s some poofy bows of Gray Plaid Ribbon under tiny Tim Holtz Metal Clips. You can see that I have also treated the clip from the clipboard and a little more flocking on the edges. 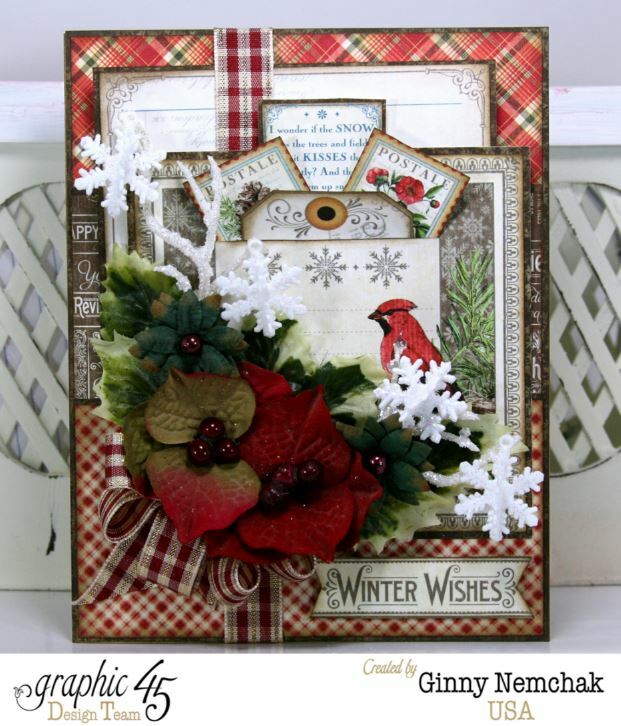 A few more snowflakes sprinkled on and a sweet tab top added to the frame for a finishing touch. I hope you enjoyed viewing my project as much as I enjoyed creating it : ) This next stop in the hop is the wonderful and fabulous Amber you are gonna love the project she is sharing! Good morning Paper Peeps! 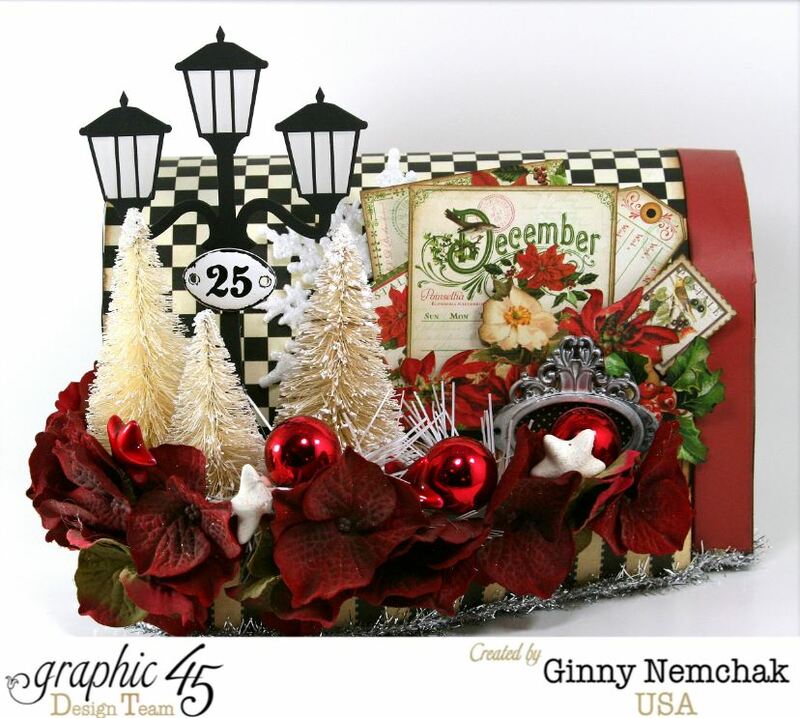 I’m here to share a tutorial on how I created this Shadow Box Ornament that I created with Graphic 45 Patterned Papers and the Ivory Tag Album. I used a great mix of Time to Flourish, Twelve Days of Christmas and Twas the Night Before Christmas. Creative scoring and Stickles helps to add detail. Using foam spacers really adds dimension. I topped it off with a super stack bow created with Satin Swiss Dots on Red, Red Plaid, Antique Gold Faux Burlap, Ivory Burlap String, all from Really Reasonable Ribbon and topped it off with a painted jingle bell. 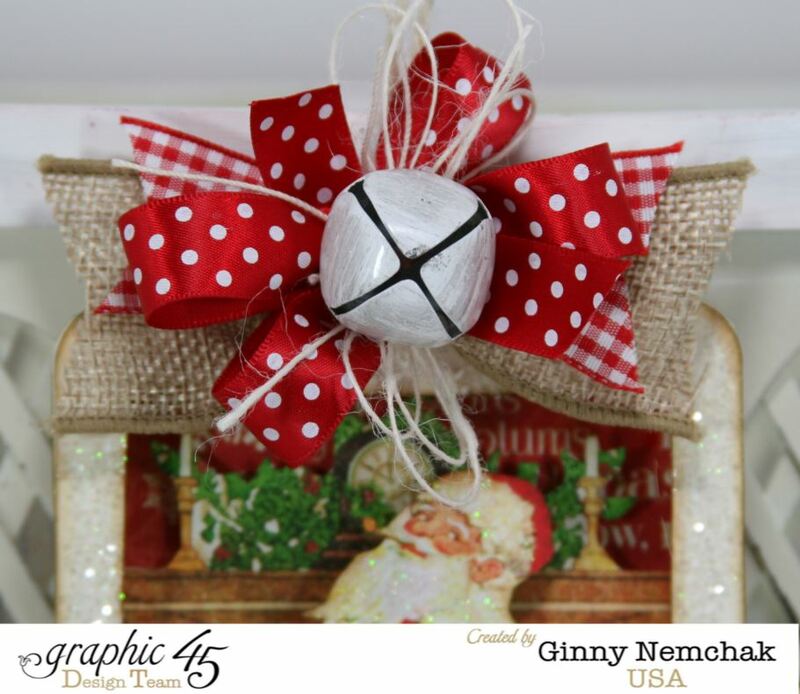 Check out How to Shadow Box Ornament With Graphic 45 Tag Album by Ginny Nemchak on Snapguide. So we’ve got Thank You, Thinking of You, Happy Birthday,Get Well Soon, and Sympathy covered. We’ll be making 7 cards this week…so I hope they keep the jibber jabber to a minimum if they want to get done in time for Sons of Anarchy. Lol Their show..not mine….I’ll go home and watch a documentary : ) Yes..I’m a dork that way! 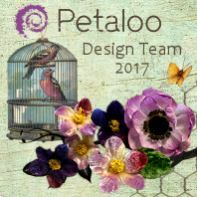 We’ll be working with this kit to make 7 cards. It would also make fabulous tags or labels right? 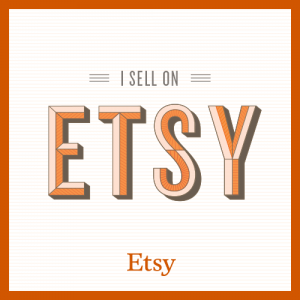 Hop on over to check out how to get a kit of your own Polly’s on Etsy. Good morning to you Paper Peeps. 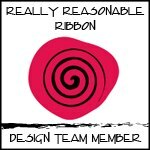 I’m dropping in to share that there’s a new challenge starting at Really Reasonable Ribbon. This time the theme is Tags Tags Tags. Perfect timing because I can think of elebenty hundred uses for tags this time of year! I created this extra large tag with loads of patterned paper layers, chipboard and flowers, buttons and tinsel and the most perfectist Satin Swiss Dot’s on Red ribbon. 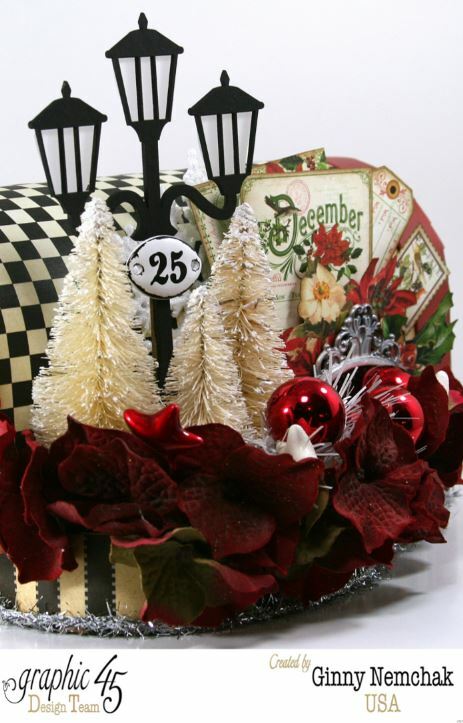 The papers are from The Twelve Days of Christmas, and Time to Flourish, and Sweet Sentiments all from Graphic 45. Okay now it’s your turn to create some fabulous tags and link up with us to play along. 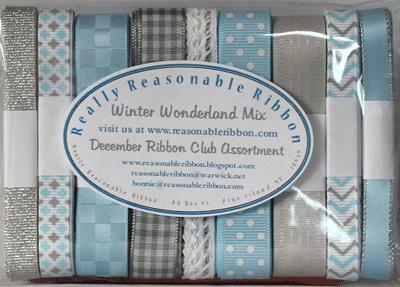 Challenge #108 Tags Tags Tags and Ribbon at Really Reasonable Ribbon.